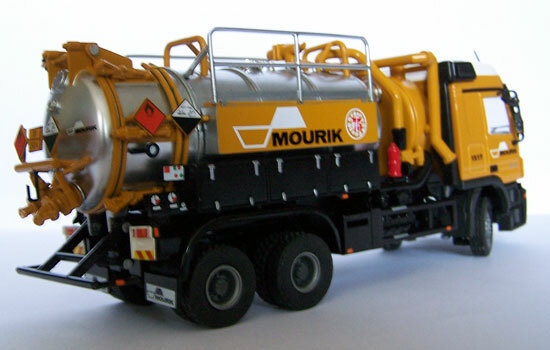 This vacuum truck in the livery of the Dutch company Mourik is build by Tekno. 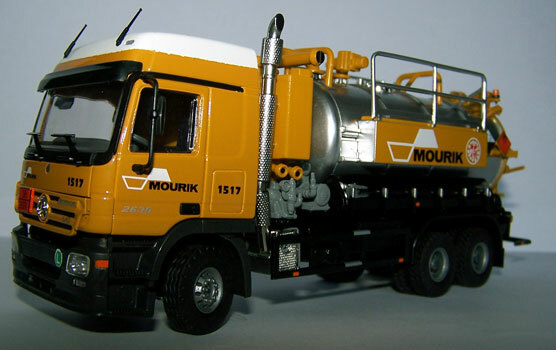 It's one of the first models based upon Tekno's universal chassis. This chassis is originally made by Zon Model. The high level of detail can be noticed at first sight. The truck is fully equipped with warning signs and piping. The cabinets and controlpanels are printed with gauges, buttons and hinges. 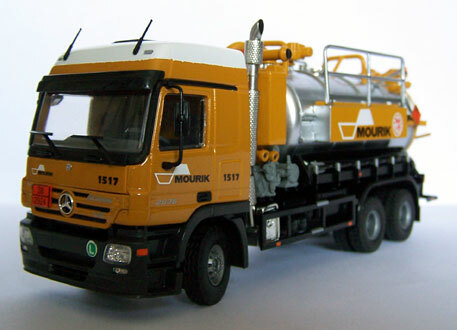 On the drivers side we can find a box with hoses and the pumps. The printing on the model is crisp, unfortunately the paintjob is not quite what you would expect from Tekno: the transition from yellow to white at the cabin roof is a bit frayed. In spite of some minor flaws, Tekno delivered an excellent model. 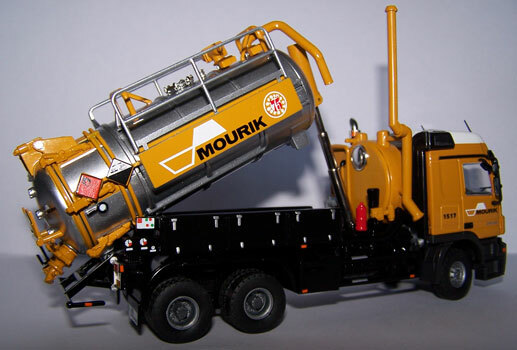 Although the model doesn't really fit in a collection of cranes and construction equipment, it's not really a misfit either.